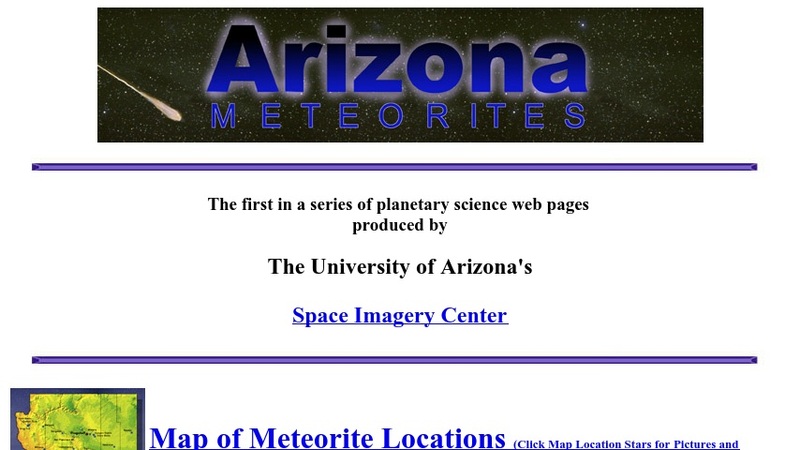 This page provides information on meteorites found in the State of Arizona. An interactive map shows the locations on meteorite finds in the state; clicking on a location provides additional information, including the meteorite's name (they are usually named after the location where they are found), composition, weight, date of discovery, and a photo (where available). There is also an alphabetical listing of meteorites by name and a set of links to other websites with information on meteorites.